The Video Nasties Podcast has teamed up with Ourscreen.com and Picturehouse At FACT to offer you the chance to see The Evil Dead on the big screen. Tickets are £9 for the show which is on FACT, Wood Street, Liverpool on Wednesday, April 30th, 6pm. Tickets are in sale at the Ourscreen website until the day before the screening and then from the FACT box office on the day. Along with the screening there will be a film introduction and a live podcast recording in the bar after the screening if you fancy joining in on the show. Categories: News | Tags: The Evil Dead | Permalink. 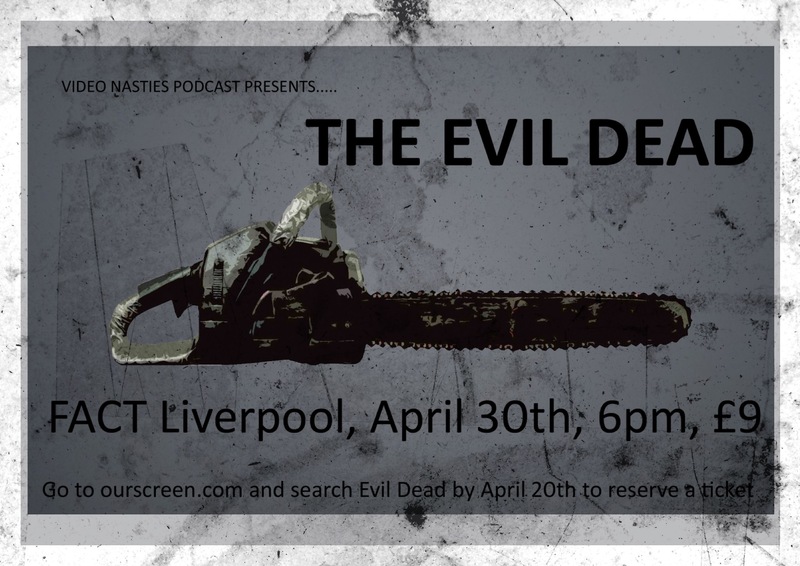 It’s a week to go before the deadline to reserve tickets for The Evil Dead at FACT Liverpool. Everybody who reserves and makes the screening a reality will receive an exclusive Evil Dead print on the night. The only place to get this limiteded print is by reserving your tickets at the Ourscreen website. Categories: News | Tags: Ourscreen, The Evil Dead | Permalink. 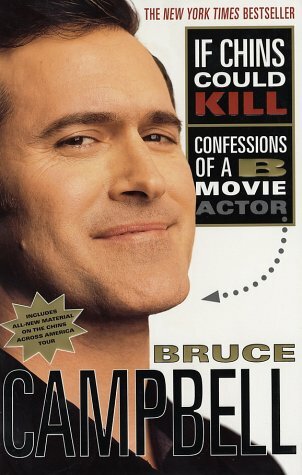 Join the Video Nasties Podcast on April 30th for the screening of The Evil Dead at Picturehouse at FACT in Liverpool and you could win a DVD or Blu Ray copy of Sam Raimi’s trilogy and Bruce Campbell’s brilliant autobiography, If Chins Could Kill: Confessions of A B Movie Actor. Ourscreen.com lets you pick a film and, if you get enough people to reserve a ticket, host your own screening. For The Evil Dead event to happen 40 people need to reserve a ticket by April 20th. For your chance to win these prizes simply reserve a ticket before April 20th and, if your name is pulled out of the hat on the night, the Evil Dead goodies are yours. The screening will happen on April 30th at 6pm if enough people register. Along with the competition, there will be a Video Nasties Podcast introduction and a live recording of an Evil Dead special in the bat if you fancy taking part. Tickets for this event cost £9 and are only available from the Ourscreen.com website. Terms and conditions below the fold. Categories: News | Tags: competition, Ourscreen, The Evil Dead | Permalink. 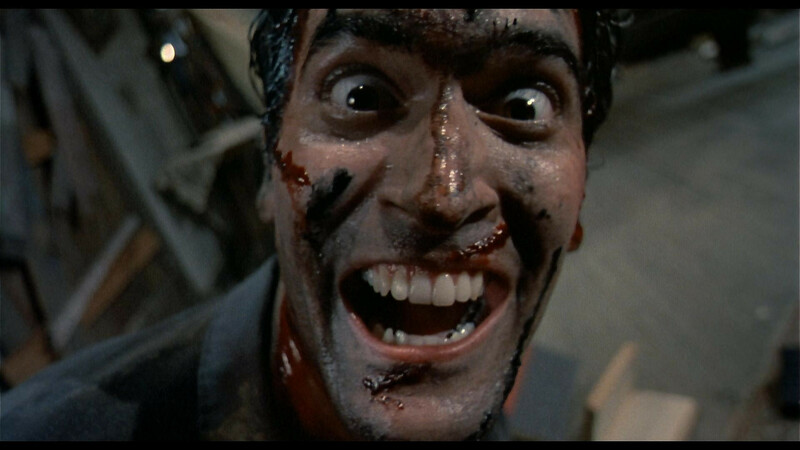 Do you want to see The Evil Dead on the big screen? The Video Nasties Podcast is teaming up with Picturehouse At FACT in Liverpool and Ourscreen to offer you the chance to see Sam Raimi’s classic on April 30th. Ourscreen lets you pick a film and, if you get enough people to reserve a ticket, host your own screening. For The Evil Dead event to happen 40 people need to reserve a ticket by April 20th. Do you want to see The Evil Dead on the big screen? The Video Nasties Podcast is teaming up with Picturehouse At FACT in Liverpool and Ourscreen to offer you the chance to see Sam Raimi’s classic on April 30th. Check the Video Nasties Podcast and the website to see further announcements about extra events happening around the screening.